There’s no question about it; driving is possibly the most dangerous thing you can do – even at your own time. So you can imagine how it feels like to have to teach people how to drive every single day. It’s nothing short of putting your life in the hands of learners. But then again, learning to drive is a crucial milestone; and once you pass the test, it’s definitely worth celebrating. 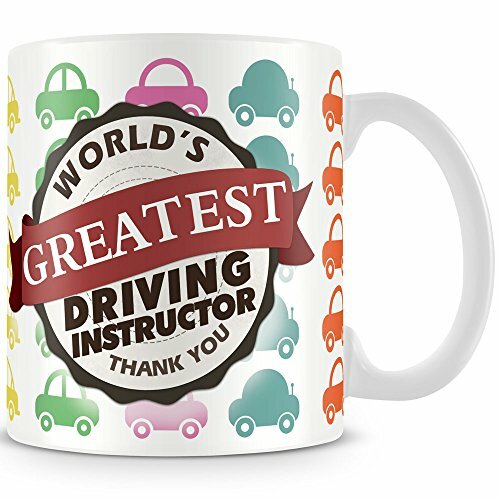 So why not give the dedicated instructor who stuck with you through thick and thin a little something to show appreciation? 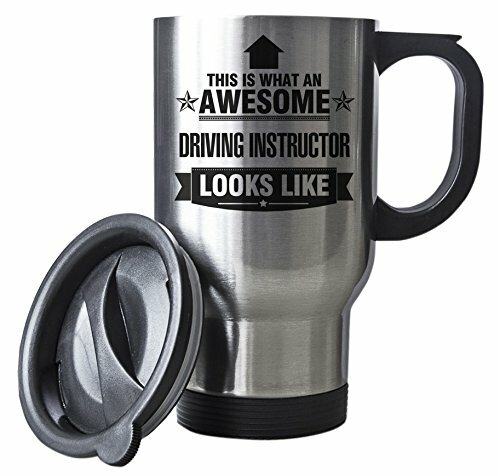 Here are the top gift ideas for driving instructors. If your instructor has a sense of humour and doesn’t dress formally all the time, then this is the ideal gift for them. 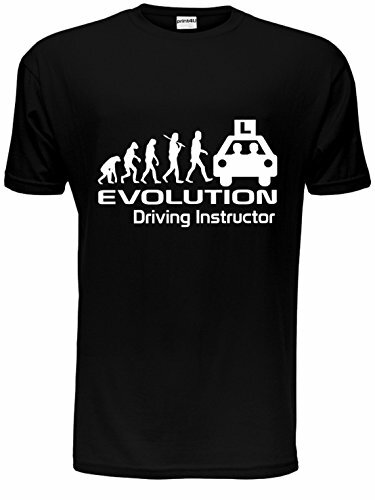 This 100% cotton short sleeve T-shirt comes with the instructor’s version of Darwin’s theory of evolution that is sure to put a smile on anyone’s face. The shirt feels softer due to the use of air jet spun yarn and has set-in sleeves with twin needle stitching. And the best part is that it comes in a wide range of colors such as red, pink, black, purple, blue and white. So if you’re feeling especially grateful to your instructor, then why not grab the whole set and give them something to wear everyday of the week? Is your driving instructor awesome? Then how about a gift that literally tells them how legendary they are. Look, you don’t need to search far for a great gift, because you can never go wrong with a mug. This 14 ounce insulated stainless steel mug comes with plastic handles and is a perfect fit for vehicle beverage holders. And just in case the road gets bumpy (or your driving gets erratic) at least the lid is leak proof so there’s no spills. The cap has a swivel feature for aligning with drinking holes so one hand is always on the wheel. And on the front, it’s distinctly written in black – this is what an awesome driving instructor looks like. Like I said you just can’t go wrong with a coffee mug. If your instructor was especially patient with you (especially if you we’re one of those students who needs extra learning) then they really are the world’s greatest instructors. So it’s only fitting that their coffee mug says so. This ceramic Durham style mug is covered by cartoon cars and thanks the world’s greatest driving instructor for a job well done. Of course, they may not be able to take it with them in their cars, but they’ll sure enjoy a11 floz of coffee in the morning that will put them in the mood to handle all sorts of pupils. This has to be hands down the best gift that you could give an instructor. What could be better than the adventures and tales of a real life instructor who overcame many frustration and hilarious twists and turns to achieve every instructor’s dream? From less than inspiring instructor centers to challenging examiners and unpredictable pupils, Vincent Ryan gives us a light hearted look at the life of today’s hectic ADI’s. Why not read it too? You’ll learn to appreciate just how difficult it can be to be an instructor; it’s not just freedom of the open road and working when you want. 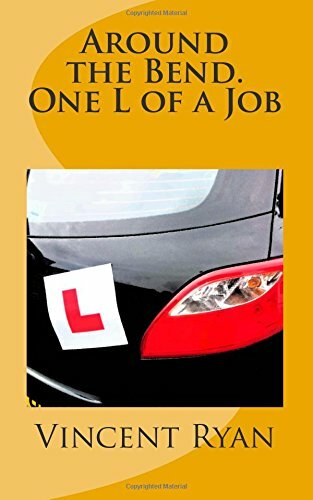 Vincent Ryan’s book is definitely essential reading for all prospective driving instructions; truly one L of a job. We’ve all got that one instructor who without them, learning to drive would have been an absolute nightmare. They stuck with us when we didn’t even know where the brakes were, they patiently taught us how to park correctly and even bore with us when we almost crashed in a ditch. That’s a whole lot more than most short-fused driving instructors would do. So what do you get someone who went above and beyond the call of duty to turn you into a driver? When a simple mug won’t do, how about something a little more classy and personal? 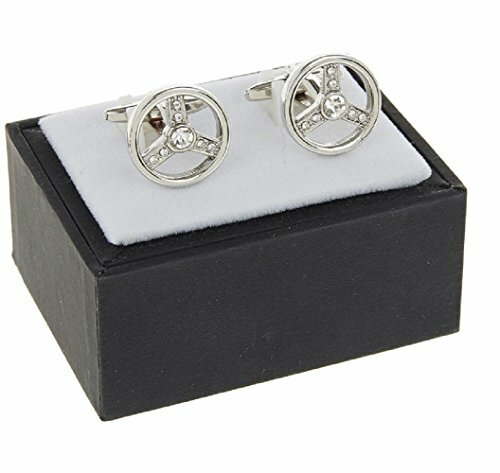 These Equilibrium Men’s Steering Wheel Design Cufflinks are the perfect way to say thank you sire, for a job well done.